Are you in need of residential garage doors repair in Humble, Texas? This service would be best served by an experienced technician. We will assign a qualified tech to administer same day repair service for your home. Every garage door expert we hire is certified to fix all brands. They will repair everything from openers to springs. You depend on your garage door to open and close efficiently. Why not depend on a good company to make sure it does? Get in touch with Garage Door Repair Humble. Place your repair needs in the hands of skilled pros that are committed to quality. We learned a long time ago that it pays to be humble in Humble, Texas. Our friendly staff is humble, helpful, and effective. We recruit the best technicians to meet the residential garage door service needs of our customers. Every expert we send to your home is capable of repairing, replacing or installing garage doors. Each tech we work with is a skilled specialist. Don’t let the friendly smile and humble approach fool you. These techs are seasoned pros. They are trained to find the problem fast. They are committed to finding the most cost-effective solution. Turn to us when you need a pro to service your residential garage doors. Choose our company when you need trusted garage door springs and openers repair. We will send you a trained expert focused on quality. Know this about the technicians we send to your home; they will always come prepared. Their service vehicles will be stocked with all types of replacement parts. You won’t see these techs running back and forth to the office for parts. Everything they need can be found close at hand. You shouldn’t service springs or openers unless you have the proper training and experience. Springs are wound tight. If they snap back during service, someone could be badly hurt. Openers are connected to the electric grid. They must be unplugged and serviced carefully. Let us send you a qualified technician for springs or garage door opener repair service. Now that you have all this information, who are you going to call for garage door repair? It is actually an easy choice to make. 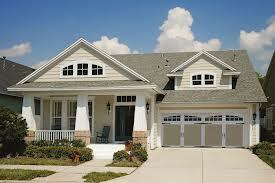 Choose our friendly company for Humble residential garage doors repair service.